(VEN) - Since the launch of the sixth generation in 2013, more than 300,000 units of the S-Class have been delivered to customers globally. 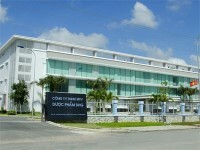 In Vietnam, the S-Class has always taken the lead, occupying more than 80 percent of its segment. 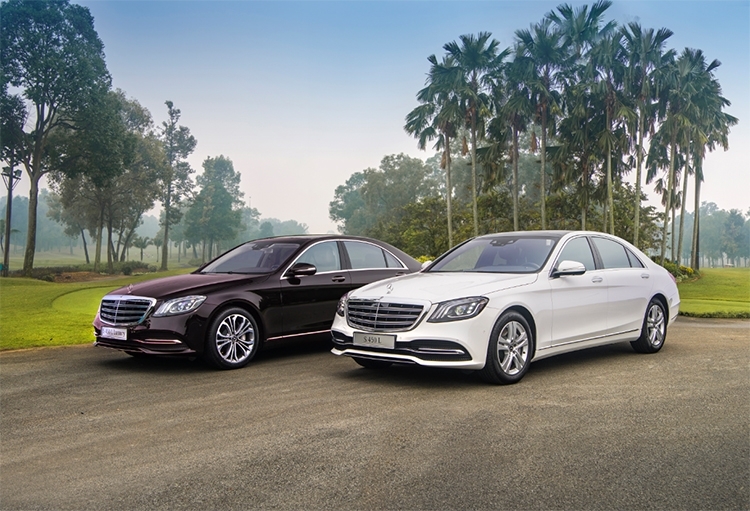 The new S-Class is introduced in Vietnam with two variants including the S 450 L and S 450 L Luxury. MULTIBEAM – the technology of light: The first impression of the new S-Class comes from new futuristic key design with high-quality material. Only by unlocking, a noticeable upgrade shows up. It is the MULTIBEAM headlamps – a both aesthetic impression and safety feature. The S-Class features three distinctive torches of light inclining to the front as an exclusive design element, allowing the vehicle to be easily recognized from a long distance. Each headlamp is fitted with 84 individual high-performance LED chips automatically adapted to traffic and weather conditions. Each LED is separately controlled in order to assure precise and efficient light range without dazzling other road users. The ULTRA RANGE main beams produce the maximum light intensity, equivalent to the value of one lux over a distance of more than 650 meters, keeping drivers confident on all journeys. Big changes in every small detail: Instead of the old four single louvre design, the three twin louvres and the vertical bars in high-gloss black highlight the new radiator grille. The front bumper features large chrome trim. The new design of headlamps, radiator grille and front bumper make the front look of the vehicle more elegant, slender and sophisticated. Both variants are equipped with new wheels, including 18-inch five-twin-spoke alloy wheels or stylish 19-inch five-twin-spoke alloy wheels in contrary colors. Its three-stage vertical tail lamps with intriguing Stardust technology resemble eye-catching crystals. All models feature a redesigned lower bumper section with an integrated tailpipe trim framed by a chrome trim element, offering a more integral and magnitude look from behind. Top-notch materials: The interior of the S-Class aims at an open space thanks to a smart arrangement of the clusters and such high class materials as leather, wood and aluminium. The S 450 L owns interior in high quality leather and high-gloss brown burr walnut wood trim while the S 450 L Luxury features the top-notch Nappa leather and black design lacquer wood trim. The brand new chrome plated three-spoke steering wheel with simplified button arrangement brings about the confidence to drivers. Cruise Control/ Speed Limit cluster has now been integrated in the steering wheel, making it more convenient for drivers when manipulating. What is more remarkable is the digital instrument cluster with the combination of two12.3-inch high-resolution central screens. Such a design not only makes the central console simpler and more modern, but also offers occupants the widening space to the two sides. A number of infotainment display styles can be selected, including “Classic”, “Sporty”, and “Progressive”. Display of information on speed screen, including navigation, time and weather, fuel consumption, connection and entertainment, G-Force and more can be personally picked up. 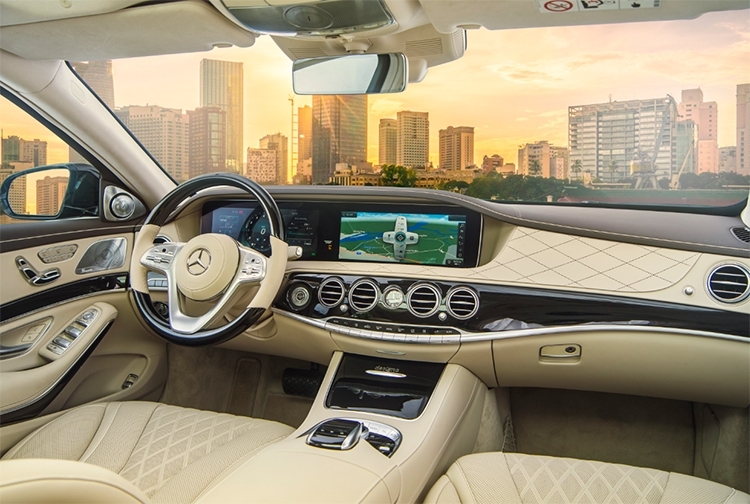 State-of-the-art technologies: For the first time in its segment, interface and connection on the S-Class has been displayed in Vietnamese, which is user-friendly and convenient to Vietnamese customers. Touch Control Buttons make it easier for drivers to manipulate functions without being distracted. Qi wireless charger and Apple CarPlay/Android Auto allow technology enthusiasts to safely use their smart phones while driving. The vehicle is also fitted with GPS navigation with lively integrated 3D map exclusive for Vietnam as well as Internet access. Driving at night is also safer with NIGHT VIEW ASSIST PLUS. Getting control from the rear: Rear seats on the S-Class are equipped with Chauffeur package with additional and adjustable footrest and head restrains. Two HD screens for these seats have been redesigned to be slimmer. Applications on central console can be accessed and controlled from the rear seats via COMAND Touch connected with tablets or smart phones. This both brings about the maximized control to the back seats and eliminates unnecessary buttons on central armrest. Nurturing all senses: With a 64-colour ambient light system, the new S-Class allows passengers to set color for different zones with 10 different combinations. This function offers relaxation for the sense of sight depending on their mood. Audiophile lovers can enjoy the new Burmester® High-End 3D surround sound system via 26 speakers which have the output of 1,590 watt (on the S 450 L Luxury). This system has been supported with two more speakers in the overhead console, offering unique surround sound experience. A BLURAY player has now been fitted in for the rear seats for passengers to entertain with taste. 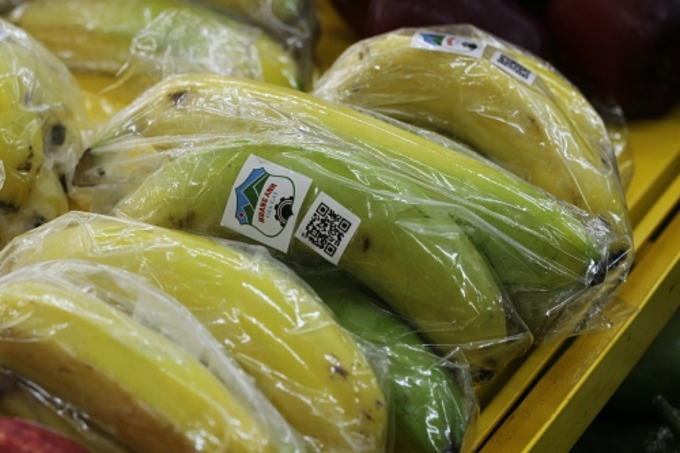 The sense of smell will be taken good care of by AIR-BALANCE system with air filtering and oxygen ionization. An S-Class owner can choose one out of four high-class fragrances exclusively extracted by Marc vom Ende. The six mode massage function includes two modes combining with heating system to create hot stone massage effect. Owing an S-Class means owing a mobile spa, which offers both mental and physical health to conquer all the challenges in life. Driving the S-Class on your own: Why not? 367 hp, 500 Nm and 5.4 seconds: No, this is the new S 450. The new twin-turboV6 now offers up to 367 hp and 500 Nm of torque from 1.600 rpm boosting the car to reach 100 km/h within 5.4 seconds. The 9G-TRONIC transmission makes the upshift/downshift much quicker and reduces the fuel consumption. The G-Force display in the central screen helps the driver to control the inertia and acceleration making sure this smooth saloon can even be smoother. S-Class for Monday and S-Class for Saturday: The flag-ship saloon of Mercedes-Benz features four different personalities with its DYNAMIC SELECT including Comfort, ECO, Sport and Individual. With the adjustment to steering, throttle, suspension, the handling behavior changes significantly. ESP Sport is also available for the first time on the S 450 allowing the driver to drive the car at its limit. The AIRMATIC suspension will automatically get lower at higher speed to keep the saloon balanced and planted. The S-Class is now more interesting and emotional to drive. Running business on Monday or relaxing on Saturday, S-Class owners always find the joy from the “moving home” both at front and rear. Sophisticated colors: The new S-Class is distributed with eight exterior colors (Polar White, Magnetite Black, Obsidian Black, Iridium Silver, Cavansite Blue, Ruby Black, Diamond Silver, and Emerald Green), in combined with four interior trims (Black, Silk Beige, Nut Brown, and Porcelain). 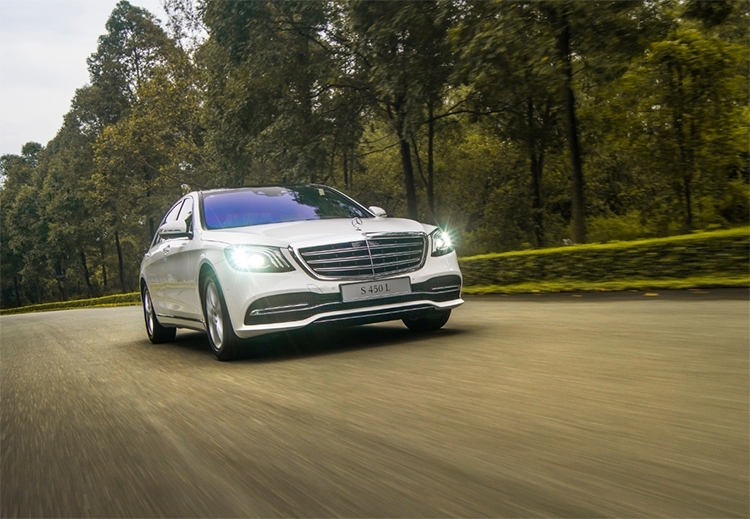 The price of the S 450 L and S 450 L Luxury are in turn VND4.199 and VND4.759 billion (including VAT) including three-year warranty/unlimited mileage.